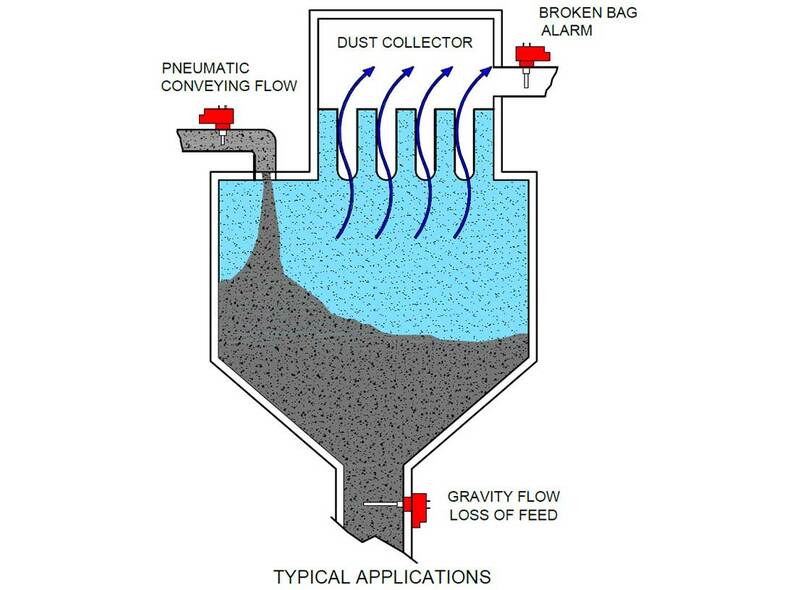 The FS10000 is designed to detect the flow of dust, granular or powered materials in a pneumatic conveying line or chute. This flow switch is especially suited to detect the flow of dust resulting from a ruptured filter bag in a bag house or dust collector. The FS10000 can detect dust collector emissions before they become visible. When particles collide with the sensing probe, a small electrical charge is transferred to the probe and sensed via the FS10000's proprietary circuitry. This charge transfer is called the triboelectric effect, or "frictional electricity". The FS10000's output is via an on-board relay, which can be used to sound an alarm or perform other control functions. All necessary calibration indicators are on the remote mounted electronics, so all you need to calibrate the FS10000 is a small screwdriver. Calibration is performed under a no-flow condition. 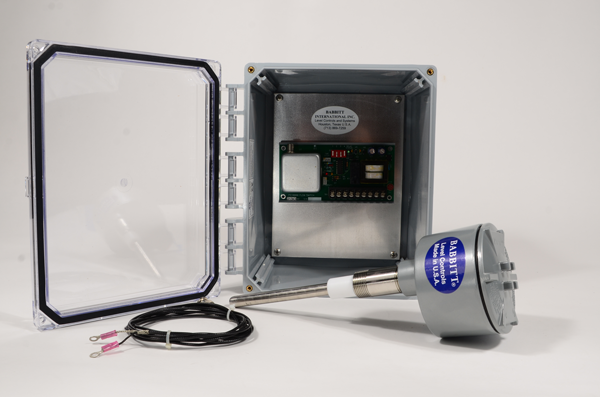 Each unit has a field adjustable time delay that may be used to ignore nuisance indications or intermittent gaps in product feed. The FS10000 comes complete with the electronic circuit board mounted in a NEMA 4X enclosure, 15 feet of low noise coaxial cable and connectors, and a 316 stainless steel probe mounted in an explosion-proof enclosure. An optional Shield Screen is available for the probe. The Shield Screen is designed to shield the probe from unwanted electrical noise in the duct that may be caused by nearby fans or motors. It can also shield the probe from stray static electrical charges created in non-metallic ducts. The Shield Screen bleeds the electrical noise to ground before it reaches the probe, while allowing the dust in the air stream to collide with the sensing probe. 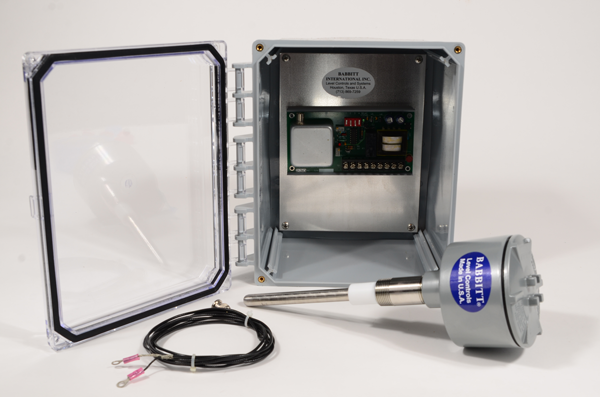 This describes an FS10000 flow switch, complete with electronics mounted in the NEMA 4X enclosure, 15 feet of coaxial cable and 3 stainless steel sensing probe with explosion proof housing.